There is no doubt that college can be stressful for any student – we’d be lying if we said it wasn’t. Trying to find the balance between completing school work and maintaining a social life can be challenging. It can take some students almost all four years to master the art, which at times can seem close to impossible. Orchestrating weekend events with a group of friends can be expensive, frustrating and quite the taxing mission. Here at United Group, we discovered a deficiency in the market – an absence of a program that can help students utilize their free time in lively, informative, and proactive ways. Additionally, we found a lack of basic education in areas such as time management and “Laundry 101” that we could leverage into such a program. With that, the Live. Learn. Relax. Program was born. The Live. Learn. Relax. 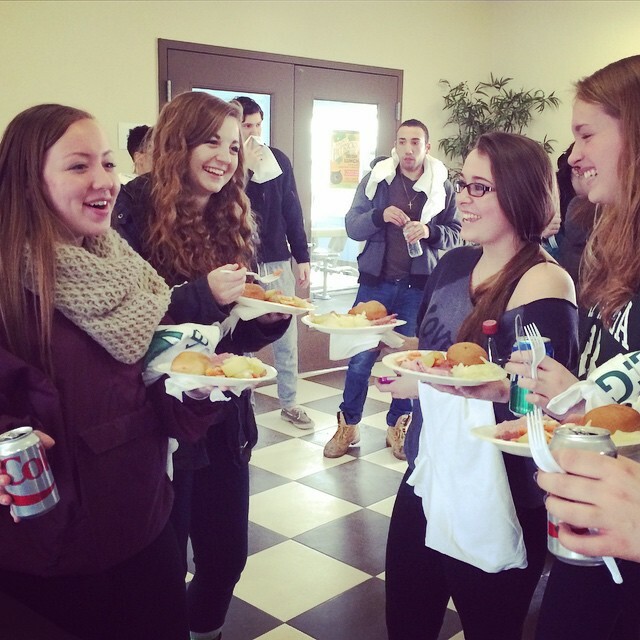 Program is designed to create an unparalleled living experience for the average college student. We immerse our residents in an active and academically supportive environment with an abundance of activities and services offered through our program. We strive to enhance our residents’ living experience by promoting topics like personal wellness, professional development, resident appreciation, and of course, fun! Each of the three key terms in the program name is further broken down into three different categories for associated events to fall under: “live” includes community, cultural, and experience, “learn” incorporates personal wellness, professional development, and social etiquette, and lastly, “relax” consists of entertainment, games, and resident appreciation. See, there is a method to our madness! College Suites at Plattsburgh opened in August 2009 and was one of United Group’s first properties to implement the Live. Learn. Relax. Program. The community consists of 114 student apartments, with 397 beds total. Aside from the program, our on-site fitness center, 24-hour group study areas, lounges, and gaming area are some of the extra bonuses that College Suites at Plattsburgh offers to aid residents in finding that work-life balance. S’mores ‘n’ Safety – For National Marshmallow Day, College Suites at Plattsburgh gave out mugs and hot chocolate and distributed magnets with key safety contacts in the area during a safety seminar. Attendees were also given survival kits. BYOB (Bring Your Own Bag) Earth Day – Reusable bags were handed out to residents with information on how to help rehabilitate the Earth and play an active role in maintaining our community. Color Run – College Suites at Plattsburgh sponsored the “happiest 5K in the world,” or the infamous Color Run. 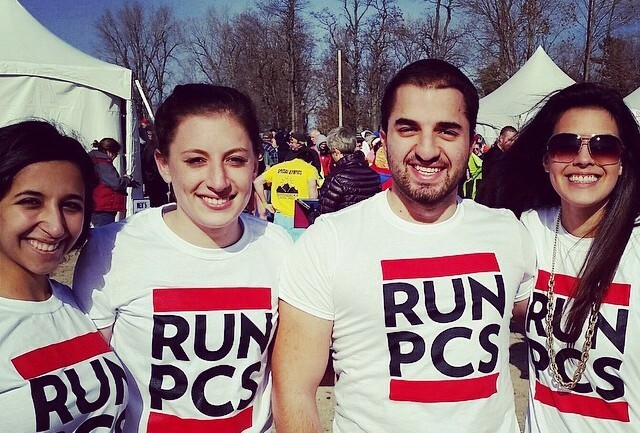 “RUN PCS” shirts were handed out to race runners. Some of our residents participated in the race too! L inkedIn Photo Shoot – College Suites at Plattsburgh had a professional photographer come and take head shots for students to use on their LinkedIn page. Additionally, a guest speaker came and provided tips on how to effectively use the platform. 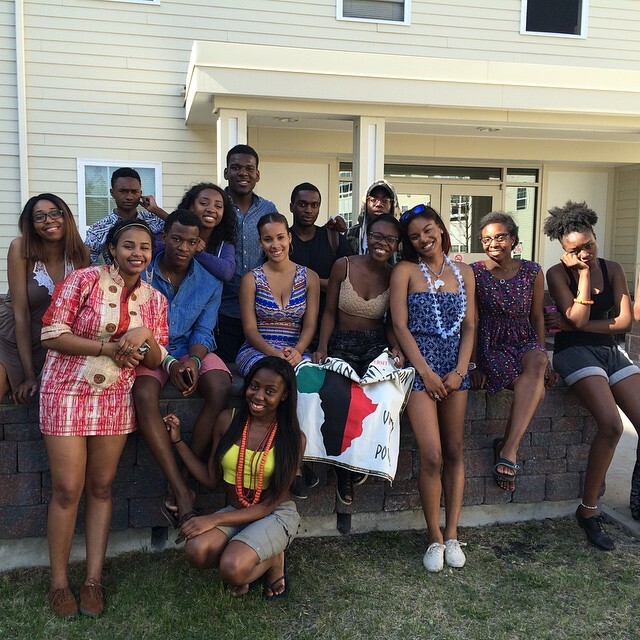 African Unity Club – Outside clubs and organizations can use our facilities for meetings or events – the African Unity Club at SUNY Plattsburgh has used the lounges at College Suites at Plattsburgh for meeting space. As a thank you, the club hosted a BBQ at our site last fall! Spring BBQ – We hold an annual spring BBQ to celebrate the end of the semester. All residents can enjoy our courtyard, games, food, and fun before heading home for the summer. College Suites at Plattsburgh typically holds around three to five events every month, including weekly events, such as movie nights and continental breakfasts. Students aren’t the only ones who benefit from our program. Within the next few weeks, College Suites at Plattsburgh will be hosting a “Clash of Colleges” charity volleyball tournament. The tournament will be a battle between SUNY Plattsburgh faculty vs. Clinton Community College faculty, and all proceeds will be donated to the Make-A-Wish Foundation. We love to inspire our residents and staff to participate in healthy competition and what better way to do so than knowing you’re having fun while raising money for a cause? We spoke with two current residents at College Suites at Plattsburgh to receive some insight on their living experiences. 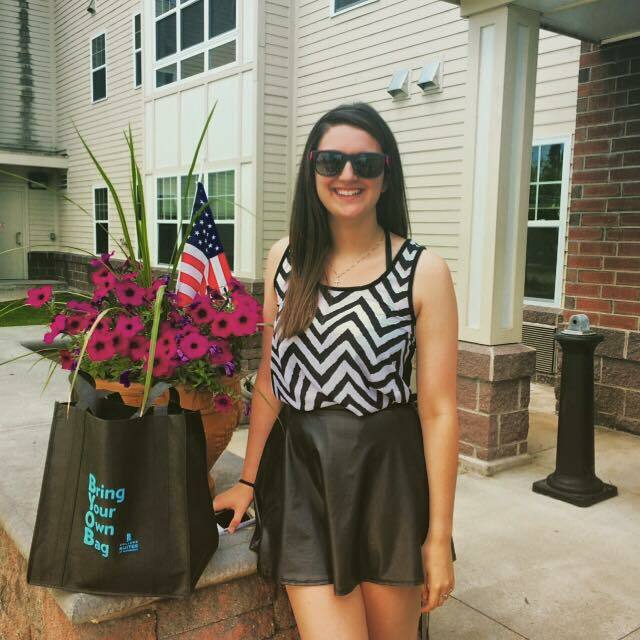 Sophie Deshaies, senior Public Relations major, has lived at College Suites at Plattsburgh for over a year and a half. Not only is she a resident during the school year, but she also lives at College Suites during the summer. “It’s hard to find your own space in a college setting and it’s important to me to have a common space to enjoy with friends, but to also have my own space,” Deshaies states while discussing her experiences. She was happy to share that College Suites at Plattsburgh provides that for her. One component of the Live. Learn. Relax. Program Deshaies raved about is the text alerts residents can choose to sign up for. “Residents are given the option to sign up for free text alerts to be informed whenever there is an event going on,” she explains. Additionally, Deshaies notes she appreciates that College Suites at Plattsburgh takes a compelling effort to include current residents in new-resident orientation activities, such as BBQs and free giveaways. We also spoke with Gerlyn Hodge, an incoming transfer student in her junior year studying Criminal Justice. She moved in this past June and has already taken full advantage of our pet-friendly policy – she has an 8-month old Maltese living with her! At College Suites at Plattsburgh, we strive to create an unsurpassed living experience for our residents. Our Live. Learn. Relax. Program was developed to help students flourish academically and socially, create lasting new friendships, and adventure something new. We are proud of all the accomplishments our residents and staff have achieved during their time at College Suites at Plattsburgh! We can’t wait to see what’s to come this fall! College Suites at Plattsburgh is the best Plattsburgh, NY apartment student housing. 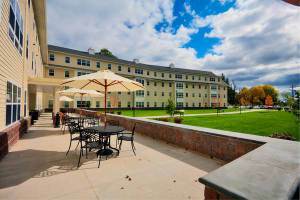 Interested in learning more about College Suites at Plattsburgh? Please visit our website at plattsburgh.mycollegesuites.com or call 888-486-8019.